Trustees Janet and Jack Ayres check in before the beginning of the 2014 Board of Trustees meeting in September. This year’s annual meeting of the Board of Trustees was more interactive, informative and inspirational than ever before, with more than 200 trustees from 17 states attending. Here’s a look back at some highlights of the meetings. 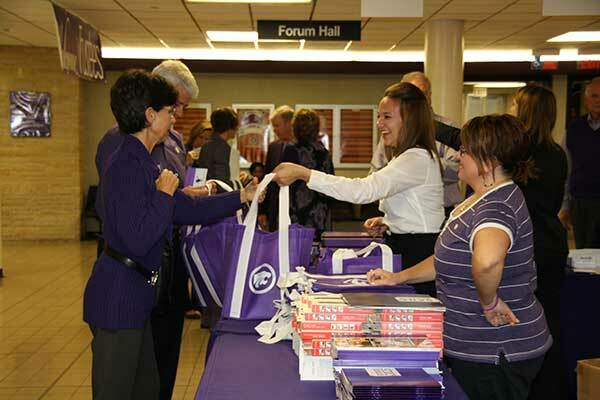 Trustees were briefed on K-State and KSU Foundation’s latest accomplishments. You can download the State of the Organization power point presentation here. Below, you can watch President Kirk Schulz’s State of the University address on YouTube. Trustees were treated to a preview of this presentation at the 2014 meeting. Some of the most inspirational parts of the day’s presentation came from students and faculty who shared their experiences. 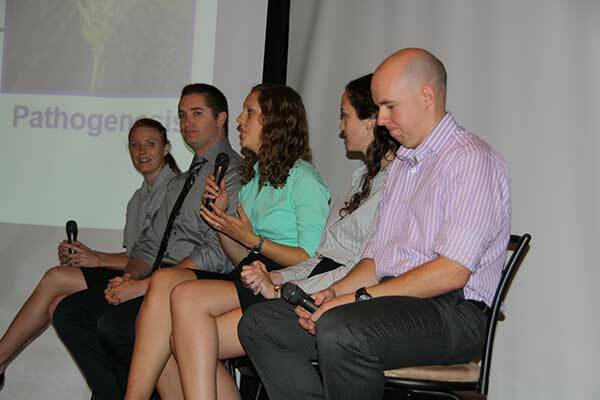 This year, graduate students discussed their research, faculty members shared how holding endowed chairs makes a difference in their teaching and research, and undergraduate students shared their experiences and successes. A panel of students respond to questions from trustees after presentations in Forum Hall. New trustees were also welcomed during this year’s meeting. Twelve new members were elected to serve four-year terms, bringing the total number of foundation trustees to 328. Read a news release announcing new trustees. 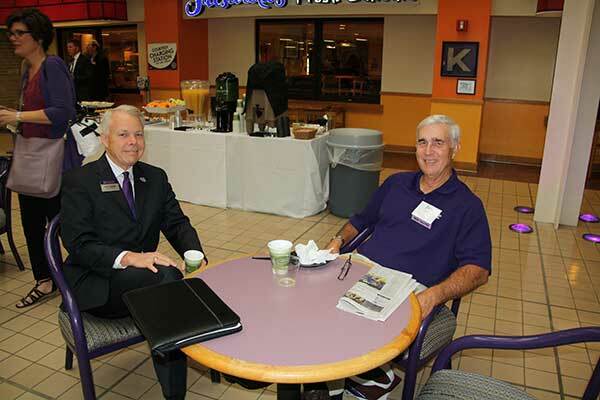 Board of Trustees Chairman Curt Frasier (left) visits with new trustee Jim Allen (right) at this year’s meeting. 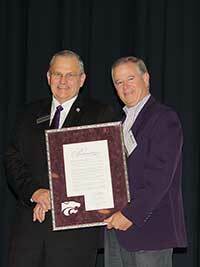 KSU Foundation President and CEO Fred Cholick was presented with a proclamation for his service to KSU Foundation and Kansas State University. This summer, Cholick announced his plans to retire in early 2015. During Cholick’s tenure, total philanthropic giving rose from $99.5 million in fiscal year 2011 to $211 million in fiscal year 2014. Cholick (left) was presented with a proclamation celebrating his service to KSU Foundation by Board of Directors Vice Chair Rand Berney (right). For complete information about this year’s annual meeting, you can download the following resources. Reports from standing committees were given by their respective chairs. Click on the committee name to see the full report.